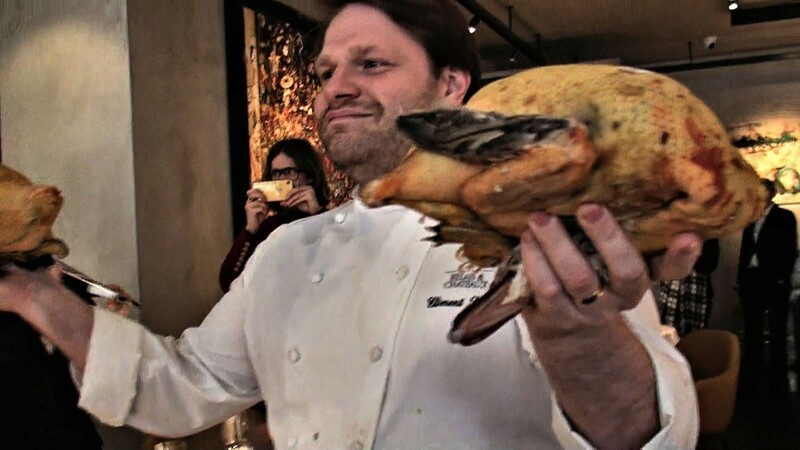 A chef in an upmarket restaurant has sparked outrage after he waved the bodies of two dead ducks in the face of an animal liberation group. The incident occurred when protesters marched into a Michelin Star restaurant in London to object against the force-feeding of birds to produce ‘luxury’ meat – in a practice known as foie gras. 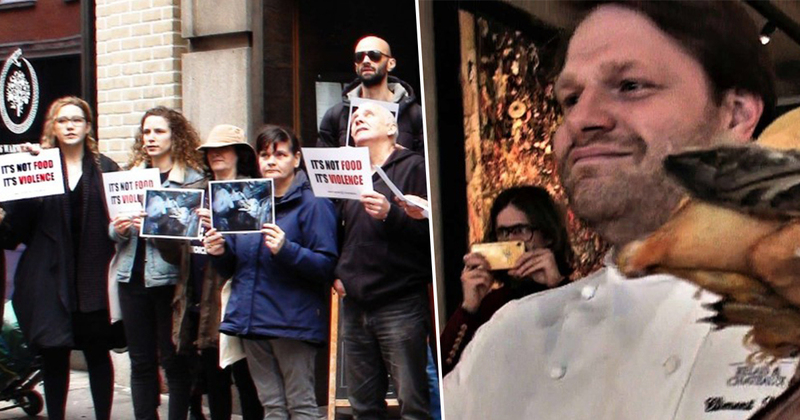 Campaigners stormed into The Square in Mayfair, London, to protest the ‘horrific’ practice, but were soon stopped in their tracks when the restaurant’s top chef waved the dead ducks in their faces. Foie gras is an extremely controversial ‘luxury’ food product whereby a ducks or geese are force-fed with more food than they would voluntarily eat, making their livers expand and swell to many times their normal size. The Square prides itself on providing ‘modern haute cuisine’ and has been known to serve the controversial food. The Square aims to provoke, surprise and delight. In an evolutionary approach to modern haute cuisine, Chef Clément serves artistic dishes with inestimable flair. 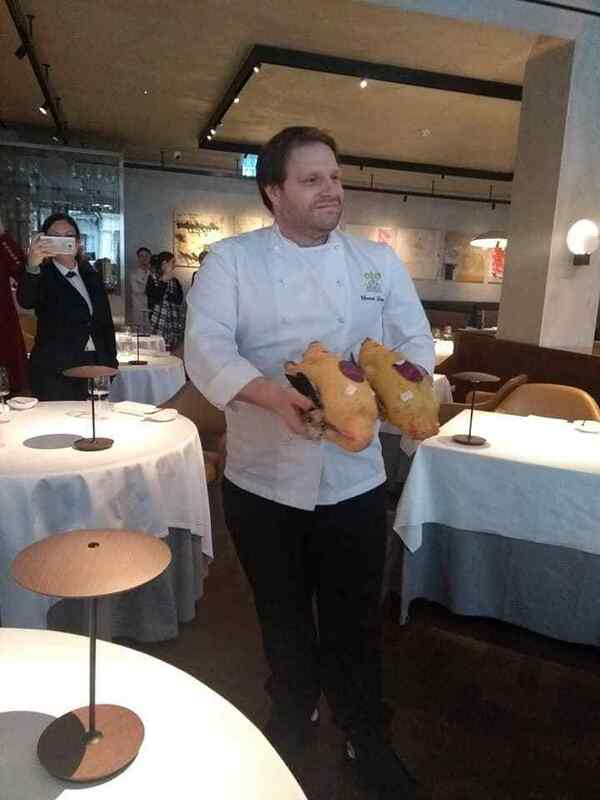 As members of Direct Action Everywhere (DXE) entered the restaurant to protest against the practice, a chef – believed to be executive chef Clément Leroy – proudly waved around the two dead ducks, which still had their feathers on. Disgusted members of the animal rights group chanted, ‘it’s not food, it’s violence’ as they exited the restaurant. They also held placards which said the same thing. This guy seemed to be proud of the cruelty involved. He was waving dead bodies around far from the food preparation area. I’m sure local food safety officers will be interested in his actions. 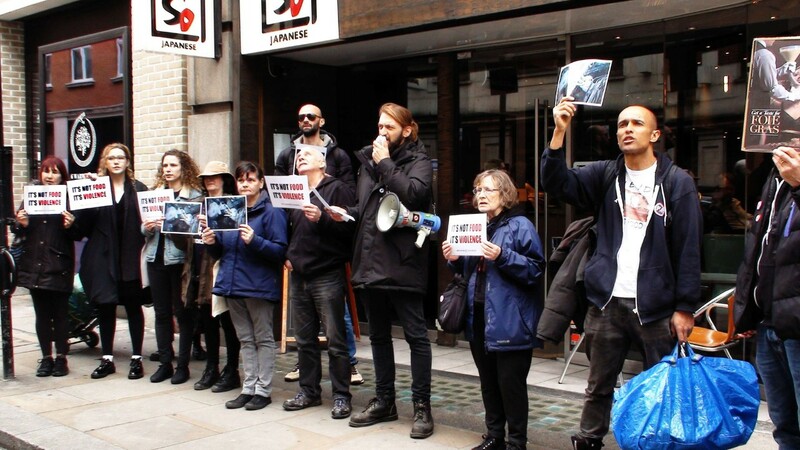 The group also protested at So Japanese restaurant in Soho, as well as Fortnum and Mason – both of which sell foie gras. DXE describe themselves as ‘an open source platform that empowers activists across the world,’ who ‘openly rescue animals in captivity, exposing violence behind closed doors’. DXE is a worldwide animal rights organisation which promotes peaceful protests to wake society up to the cruelty and suffering involved in meat, dairy, fish and egg production. We aim to awaken people’s compassion in order to bring about a vegan world. UNILAD has contacted The Square for comment.